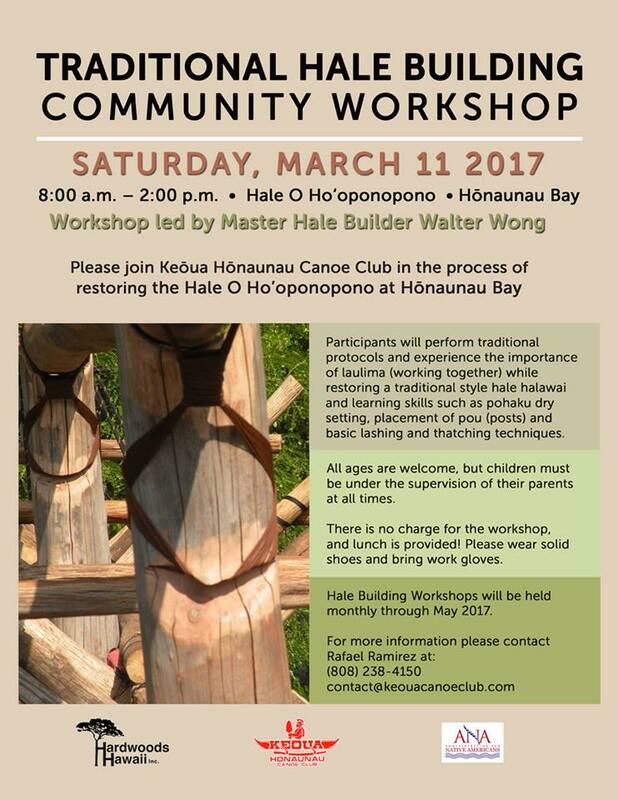 Our next hale building workshop is Saturday, March 11! Learn lashing and thatching techniques from Master Hale Builder Walter Wong. See you there!